The Aam Aadmi Party (AAP) government on Wednesday approved the much-awaited Phase IV project of the Delhi Metro, which Chief Minister Arvind Kejriwal said would boost public transport and reduce pollution. In a first, the Delhi government has also decided to construct elevated roads under three metro corridors -- Rithala-Bawana-Narela, Janakpuri West-R K Ashram and Mukundpur-Maujpur -- of the total six under the 103-km-long Phase IV. The approval, given at a cabinet meeting chaired by Kejriwal, comes around two-and-a-half years after it had given in-principle nod to the Phase IV project, which is expected to be completed by 2024. 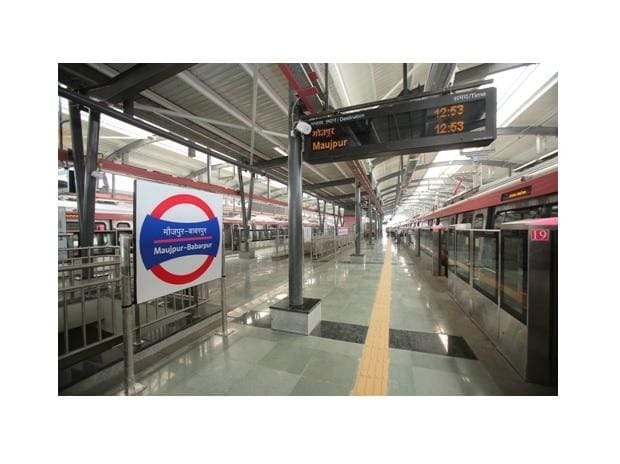 Briefing reporters about the government's decision, Deputy Chief Minister Manish Siodia said, "The cabinet has approved the Phase IV of Delhi Metro. It will boost public transport in Delhi." Kejriwal took to Twitter and said that after the "revolutionary changes" in education, health, water and electricity, there would be changes in transport at a major scale. The chief minister added that he has a dream of seeing Delhi being counted among the select cities of the world, and every citizen, be it rich or poor, would feel proud of it. Among the projects chosen under Phase IV are: Rithala-Bawana-Narela (21.73 km, elavated), Janakpuri West-RK Ashram (28.92 km, 21.18-km elevated ), Mukundpur-Maujpur (12.54 km, elevated), Inderlok-Indraprastha (12.58 km, underground), Aero City-Tughlakabad (20.2 km, 5.58-km elevated), Lajpat Nagar-Saket G Block (7.96 km, 5.89-km elevated). Sisodia said the government would give its share of Rs 97.07 billion towards the construction work under the project, which is estimated to cost around Rs 450 billion. The operating losses, if any, would be shared between the government and the Centre at a ratio of 50:50 for the project. In the 2018-19 financial year, the government will release Rs 110 billion, followed by Rs 17.05 billion the next fiscal, Rs 17.73 billion in 2020-21, Rs 17.31 billion in 2021-22, Rs 162 million in 2022-23 and Rs 12.08 billion in 2023-24. The cabinet approved construction of the elevated roads on Rithala-Bawana-Narela, Janakpuri West-RK Ashram and Mukundpur-Maujpur. The corridors will be constructed by the Delhi Metro Rail Corporation (DMRC) and the entire cost would be borne by the government, Sisodia said. The Phase-IV project had become a bone of contention between the AAP government and the Bharatiya Janata Party-led Union government as the former did not give its final nod to the project, even after its in-principle approval to the same in February 2016. The Delhi finance department had submitted its report to the government, saying that some of the proposed corridors were financially "unviable". Following the delay, Union Housing and Urban Affairs Minister Hardeep Singh Puri had, in October, said: "We will open a box of sweets only when a formal announcement for the metro Phase-IV project is made.